640 Acres -Independence, Wells, Elko County Nevada – Make an Offer!You pick the price, make an offer or BUY NOW for $96,000.00! !One Square Mile of Sub-dividable Ranch Land Huge!! Full 640 acre section. One square mile. This property may possibly be subdivided into as small as FORTY ACRE PARCELS subject to local regulations. This property is for sale at a reasonably offered price or can be bought now at a low price of just $96,000.00. This price is the lowest offered price for a full section of Nevada land than all current comparable listings, and, is perhaps the most reasonably priced section of land listed for sale today in Elko County. Any reasonable offer will be considered by the seller. If you wish to make a reasonable offer, just submit to us and let us know your offer, nothing unreasonable will be rejected. You know what is reasonable, fair, appropriate and still a great bargain. A reasonable offer would exceed $75,000. We have not visited the property; but we do have pictures of the area surrounding this property. We do not control the mineral rights, ONLY the surface rights. So, mineral rights are NOT included. This is a cash sale, we are not providing financing. We will arrange a title insured closing. We will require an immediate escrow deposit of $1000 and expect to close within 30 days. Buyer will be responsible for all title closing charges including title insurance and recording fees. Consider this added expense as part of your offer. We find that a title closing in Northern Nevada with title insurance and all closing fees could cost approximately $2000 and these title expenses – should you desire a title closing are IN ADDITION to our company’s $425 closing fee. 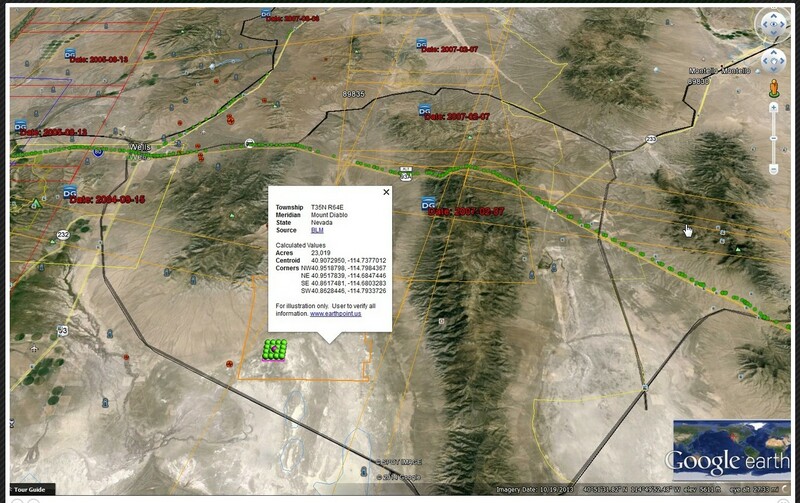 This parcel was purchased with title insurance for Ticor Title of Reno Nevada. And again, a title insured closing can be arranged for the winning bidder. AGAIN, note that the sale does not include mineral rights. The Buyer under separate arrangement can contact the owner of the mineral rights, but the mineral outside transaction has no bearing on the sale of our beautiful 640 acre property. The County Website is a valuable tool you should use as you perform your due diligence and other research on this property. The site has location maps, zoning, tax and other useful links which will give you, the prospective purchaser, most information you will need to evaluate this property and county. Elko County, Nevada 640 ACRES 009-100-015 Section 29: TWP 35N, Range 64E, 640 Acres, MDB&M. Located in Independence, Wells, Nevada 89835, just south of Interstate 80 and is located 330 miles east of Reno, 197 miles west of Salt Lake City and 115 miles south of Twin Falls, Idaho. Fishing and Hunting are welcomed. We offer this land at $96,000.00 plus our $599.00 closing fee. Owner Financing is available. Make an Offer and be an Owner!